I’m having one of those roller coaster weeks…. 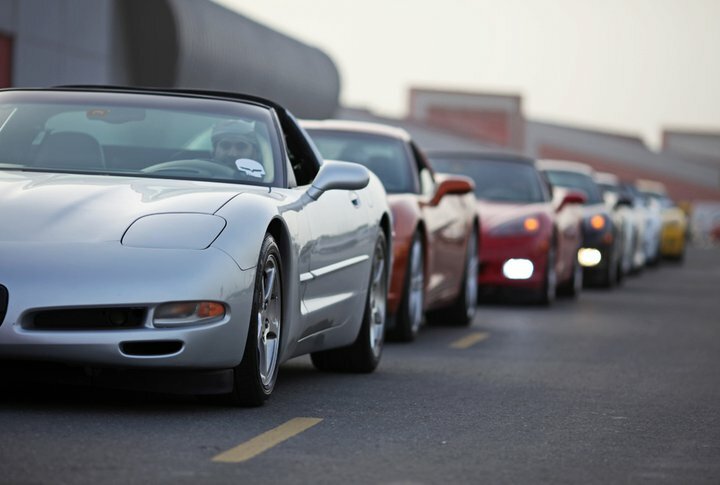 After being extremely excited about the upcoming Corvette UAE Club meeting for which I am a board member, I now come to realise that I will probably miss most of the drive and proceedings. Instead I will only venture out for part of the event to celebrate my daughters birthday with the club members at YAS island where I hope to see a lot of fellow car enthusiasts and people promoting road safety. I am sad about missing the main part of the road safety campaign because I have just qualified for a 2 day intensive camera course which I hope to study from a script writer’s perspective. It was something I have always wanted to do so when I had to choose between this course and the drive, it was indeed painful as I would like to be both in Dubai and Abu Dhabi at the same time. Especially as Ford Middle East has given me the most awesome, state of the art Ford Explorer to experience and be seen in and I really wanted to have a leisurely drive in it behind the corvettes to support the safety campaign :). Very excited though that I will at least make it part of the event. For people who are passionate about road safety, this is a good time to follow the example of our club and attend the lectures organised on road safety. Members and public will be signing on a roll up presenting the campaign of not using phones while driving. The CUC gathering is on Friday 28th Oct in Abu Dhabi 3:30pm @ the Abu Dhabi International Marine club parking opposite Marina mall. The parade starts at 5pm after the talks to go to YAS island. Also the corvettes will have a sticker of the campaign on each car’s rear to support this noble cause. The sticker urges people not to use the phone while driving. As a speed junkie who has reformed to now release any adrenaline energy on safety controlled race circuits, I am a strong advocate of this campaign. Lucky for us, we have the Autodrome and the YAS Marina Circuit to try our driving skills on without having to risk the lives of innocent people on the roads….speed is NOT for public roads. Its a CUC message.